Digital media provide increased opportunities for both marketing and social transmission of risky products and behavior. 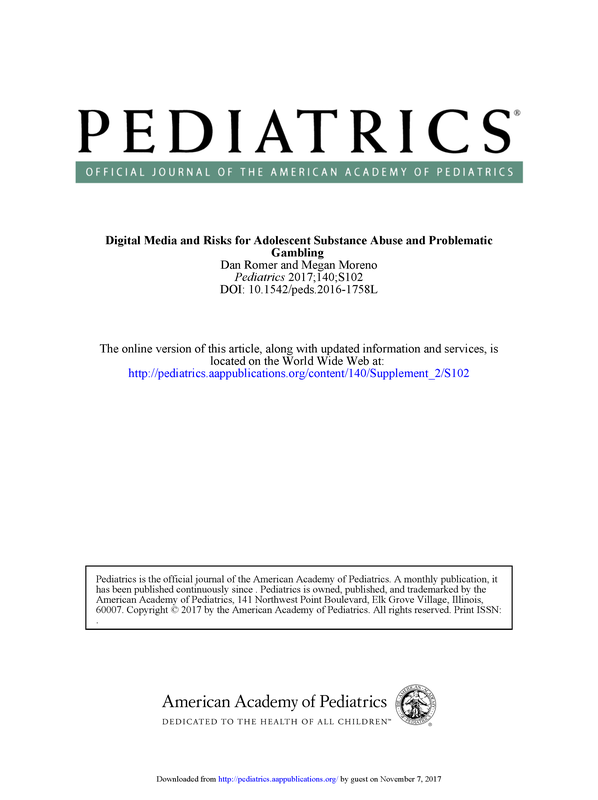 We briefly review what is known about adolescent exposure to favorable presentations of addictive substances, such as alcohol, tobacco, and marijuana, as well as behaviors such as gambling, on social and other online media. Our understanding of these influences and whether they require greater regulation is still developing, and recommendations for future research to address these gaps in our understanding are described. Potential strategies to intervene in these environments to protect adolescents and young adults from the adverse effects of these products are described, as well as future challenges for developing interventions. Click here to obtain the article from Pediatrics.